'Fragile Thoughts' 12"x24" oil and graphite on wood. 'Hiding Place' 24"x24" oil and graphite on wood. 'Fade To Blue' 32"x32" oil and graphite on wood panel. September 3rd 2015 Opening reception. At Stolen Space gallery in London, UK. I curated a group show in August. 'Vitality and Verve: Transforming the Urban Landscape"
mural and installation group show at Long Beach Museum of Art. The Vitality and Verve exhibition will be one of several locations in Long Beach this summer that will feature mural art. POW! WOW! Long Beach 2015, celebrates an inaugural art festival that will feature mural projects, gallery shows, and exciting programming – throughout downtown and nearby locations, which is slated to run the week of June 22 – June 28 featuring internationally renowned artists. Vitality and Verve was made possible in collaboration with Thinkspace Gallery and Pow! Wow! Come check us out when it's all complete! There are epic artists here currently at work. Seeing them paint/spray at such a large scale is just breath taking. Such an honor being able to work along side them. My first mural completed at Worcester Art Museum in Massachusetts. for the Samurai! 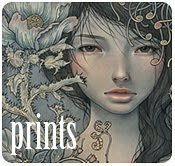 show, curated by Eric Nakamura from Giant Robot. with Mari Inukai and Andrew Hem. Murals will be on display till May of 2016 (and most likely painted over after). It was such an honor and a great experience taking on this mural project with Mari and Andrew last week at the Worcetser Art Museum. Thankyou to everyone at the museum for giving us this precious experience. Special thanks to Adam, Eric, Katrina, Lisa, Yumi, and Nick for your generous support and hospitality. I can honestly say that I truly enjoyed this experience. The first day of painting I was overwhelmed and intimidated by the size and height of the wall. And most of all, it was challenging working in front of an audience. I felt very insecure and self conscious, and it was such a struggle to get into my own zone, and not worry about criticism. But day two felt a little better, and by day three I was enjoying seeing my image unravel. I felt more confident and found myself feeding off the energy of people that came to look and say hi. So, thank you to all that stopped by to show support and to chat. I’ll be tackling another mural soon, and am pretty excited about it. Working large scale is liberating, and hope this experience will shift and improve the way I work. It was a tough and exhausting week, but am so happy and grateful for it all. Thankyou!